Vitamin D: How Much to Take/ Why You Need It - Eat. Lose. Gain. There’s so much buzz about vitamin D lately. And for good reason. It’s becoming more and more apparent that vitamin D is essential for not just building health. But staying healthy for years to come. This is massively important for your bone health. Sure, you can pop a bunch of calcium pills, hoping to avert osteoporosis. But all that pill popping is a waste of money if your vitamin D levels aren’t optimized. That’s because your body needs it to absorb the calcium and promote bone growth. 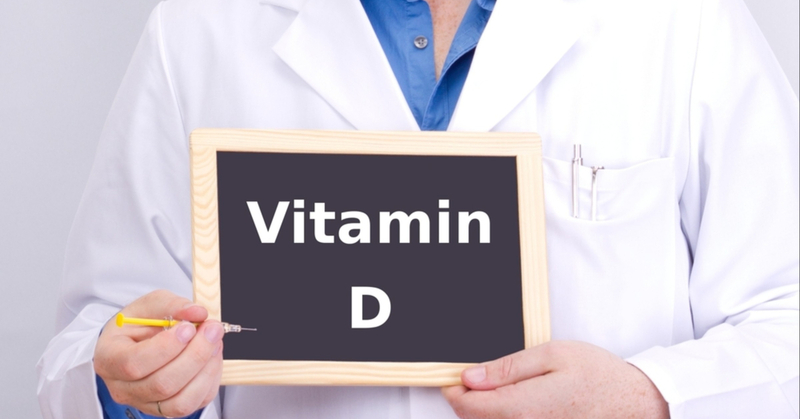 Vitamin D may also possibly prevent cancer and lend to better outcomes for cancer patients. Epidemiological studies have examined the relationship between this wonder nutrient and cancer. And preliminary evidence shows that maintaining proper levels seem to improve cancer outcomes. For instance, studies have shown there to be an inverse effect between proper levels and breast cancer recurrence with early stage breast cancer. More research is needed. But this initial information seems promising. There is also evidence that this is beneficial for heart health. As with cancer, we are still in the earlier stages of fully understanding the connection. But from what we know, vitamin D is beneficial for cardiovascular health. Vitamin D deficiency may be a risk factor for the heart in many ways. Think heart attacks and congestive heart failure. Plus it may play a role in proper blood pressure. And while we’re still looking for conclusive answers, the bottom line is you can’t lose by optimizing your levels. It doesn’t take a big time commitment. And it’s not prohibitively expensive. The first step is to find where your levels stand. Most of us are naturally deficient, but you can never assume. So there are a couple ways to get concrete information. First, your doctor can easily order a blood test, The test that is administered is called 25(OH)D. And the results will most likely be sent to your doctor. You can also do a home test. That is, if you’re fine with pricking your own finger. You’ll mail the blood test to the lab, and be sent back your results. It’s important to understand your results. Because labs are different and set varying minimums. But for ideal health, you want to exceed the minimum. According to the Vitamin D council, a reading of about 50ng is ideal. Reading over 150ng can lead to toxicity. So obviously don’t go overboard. But honestly, toxicity is hard to achieve. And what if your blood tests reveal that your levels are less than ideal? Never fear. There are easy steps you can take. The number one way your body gets this nutrient is by creating it from the sun. The more we spend time indoors, the more risk of deficiency rises. However, skin cancer is also a reality. And sunblock also blocks Vitamin D.
To be safe, experts recommend getting about 20 minutes unblocked sun exposure daily. This can be done earlier in the day like 10 am. Or later in the day at about 3 pm. They don’t recommend getting sun exposure in the middle of the day when sun rays are at their most potent. However, for many people this isn’t possible to do on a consistent basis. Or it won’t be enough to reach ideal levels. And that why it’s nice that we have other options. This can be one of the most important supplements you take. If you’re deficient, most doctors will recommend that you start by taking 1000 to 2000 IU daily. This is a good starting point. But make sure to follow-up with another blood test. Because this may not be enough. It wasn’t for me. And so you need to keep building up until you reach a consistent level. You should, of course, do this with a doctor’s supervision. Even though it is relatively safe. The reality is the we mostly get Vitamin D from the sun. But there are a few foods that are good sources. These would be oily fishes like mackerel and salmon, liver, and egg yolks. Many foods are fortified, meaning vitamins are added during processing. 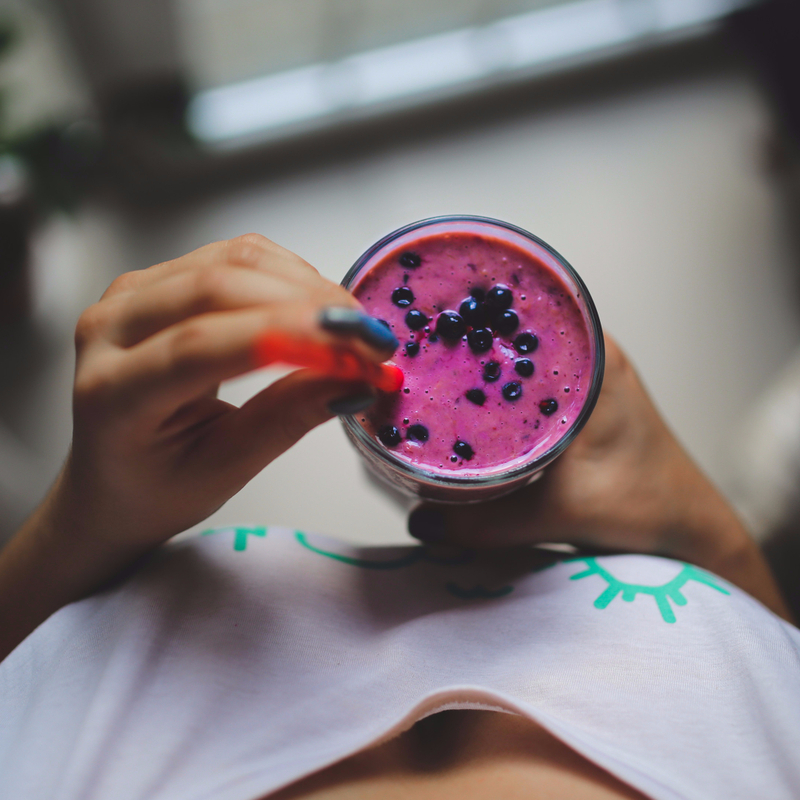 For example, breakfast cereals, milk, and orange juice are fortified with vitamin D. But boosting your readings from food alone will most likely be effective only if you need a small boost. Other than that, supplemental pills are your friend. True story. When my mother finally tested herself, her doctor told her that her readings were the lowest she’d ever seen. And this was when my mother was in a state of declining health. And this made me passionate about optimizing my own levels. So if you haven’t tested yourself, now is a good time. Go to your doctor or order a home test. And do something really small for your health that can have a large impact! Well written! I alway take vitamine D because we do not get enough sunshine in Norway. I know it can be really dark in Norway. So I’m glad you supplement! Did not know you could order a test from home! Seems pretty essential to check Vitamin levels! I know! I was excited when I learned that too! I try to consume products that is rich in vitamins, especially Vitamin D. I like to drink milk and eat a lot of cheese. True so, Vitamin D is so important for our body and bones and the best source is Sun. I try to get atleast an hour’s sunlight daily. Informative post! I am sure that my levels are pretty low. At least right now. During the summer, I’m sure I get plenty, we live in Florida, and I’m always in the sun. How great that you can order a kit to test at home. Taking vitamins of any kind is something I always slack on. I will be good for a while, and then forget to take them. I know I should and I need to be better about it. Heart Disease is extremely common on my mom’s side of the family – in fact, her mother was the only one without heart issues (although, she had several others). After discovering what Vitamin D can do for your health, I am adamant about taking it every day! Great information for anyone who may be lacking in such a wonderful vitamin! Vitamin D is important for optimal health, it is absolutely essential for good health. I shoudl take Vitamin D.
My doctor did a blood test for me last year and it was recommended that I take B12 supplements and get a sun lamp. Both have made a huge difference in my life and now I recommend them to everyone! Great post! I take LOADS of prescribed Vit D, sadly. I am white and pale as pale can be. I take some other meds that deplete me of essential vits, so I take 50K of Vit D! It’s also worth noting that some diseases can cause low vitamin D absorption. I was diagnosed with low vitamin D and have supplemented since. due to kidney disease I don’t metabolism it well and need more. Sounds like I need to order a test (I didn’t even know you could do that). I’ve been trying to increase the amount of fish I eat, but I’m sure my levels are still low. I’m very fair and don’t spend a lot of time outside without sunscreen. Vitamin D deficiencies are so widespread especially during the winter but people don’t often consider it. This is a great PSA. great info as research is consistently showing its importance and how we all are deficient in Vitamin D.
Interesting read! At work I’ve also seen vitamin D also showing up in research for pregnancy and even breastfeeding. Babies are told to take Vit D drops but research is leaning towards mom boosting her vit d intake and passively giving it to baby via exclusive breastfeeding. Interesting food for though. I have a vitamin D in my daily, and didn’t know if it was enough until my recent blood test. MY friend has to take an absurd amount for her health! I definitely need to be consistent with taking a multi-vitamin. I’m actually really bad at taking them. I do take a Vitamin D pill though as prescribed by my doctor. I just had a check-up this month and we were talking about my Vitamin D. She said right now, I’m great, but it’s something to keep an eye on as we age. 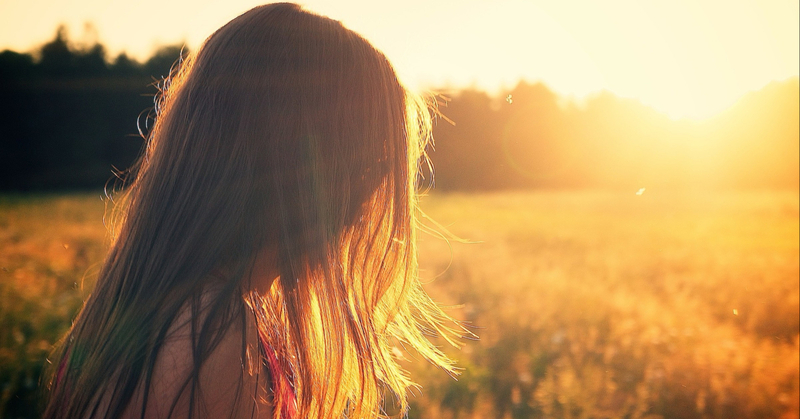 It’s amazing to think that just 20 minutes in the sun can help you get the Vitamin D your body needs. I try to remember that when I’m outside, but it does become harder during the colder months so I also take a supplement. My multivitamin that I take daily has Vitamin D in it, which I love because I’ve been sick for quite some time and stuck indoors a lot. I had no idea that Vitamin D has so many benefits. I do know that it helps with cancer prevention which is amazing. It would be nice to get it from food, and since we enjoy Salmon that would be perfect. Vitamin D is one of those that always have conflicting information when you look online. Not knowing how much to get and/or how much you are actually getting is a tough concept but you really made it easy to follow. In Arizona we get quite a bit but are always looking for great initiatives to keep our family healthy. Vitamin D is very important to take. and my husband and I have always been a stock of vitamin C and D in our home.